That doesn't sound like a big deal to some, en okkur sem takast á við cauda equina heilkenni standa fyrir hvaða lengd af tími er ekki valkostur. One of the things CES takes from you is leg strength. Even if feeling returns, styrkur getur ekki. 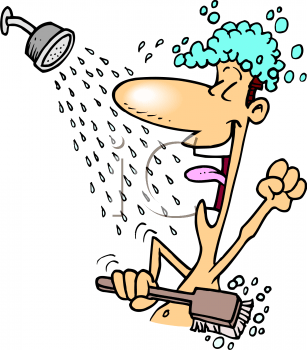 So to stand in the shower for the few minutes it takes to shower, og bæta líkamlega áreynslu á sturtu, Þetta eru mikil tímamót fyrir mig! One letdown though is that it did take so much strength that I can't do it every day, or even most days... enn. But the future is before us and we shall see what it brings, en nú get ég ekki skurður sturtu sæti. I am currently passing Month 13 með CES, so I've really got to get busy on my Month 12 og mánuður 13 skýrslur! Hope to have them up this weekend.